First of all, I am a big fan of Bill Nighy, British productions and hitman-movies, so my judgement might be a bit biased. This is regular good British action comedy, with emphasis on comedy. Maybe a bit too much emphasis on comedy really. Bill Nighy plays the famous hitman called Victor Maynard. A man know for getting the job done, with both quality and precision. In one of his jobs, he is hired for the his of a notorious thief played by the pretty Emily Blunt, and of course this messes up the whole situation. I always hate, when a situation like this ruins a good hitman-movie, and for some reason it happens about 90% of the time. Well... the two of them become something of an item, which brings various kinds of trouble, including Maynard's mother trying to uphold the family name and killing the poor girl. That part is overdone in my opinion. On top of it all, they run into Ronald Weasley - oh, sorry! Tony! - played by Rupert Grint, who becomes entangled in the mess. The acting is quite quite good for a comedy. Everyone is doing very well, and I was positively surprised by the young Rupert Grint. Bill Nighy's authritis prevents hem from wielding a gun properly, which is a shame, as I suspect he would lose the hold of it and possibly break the hand, if he fired holding it like he does. 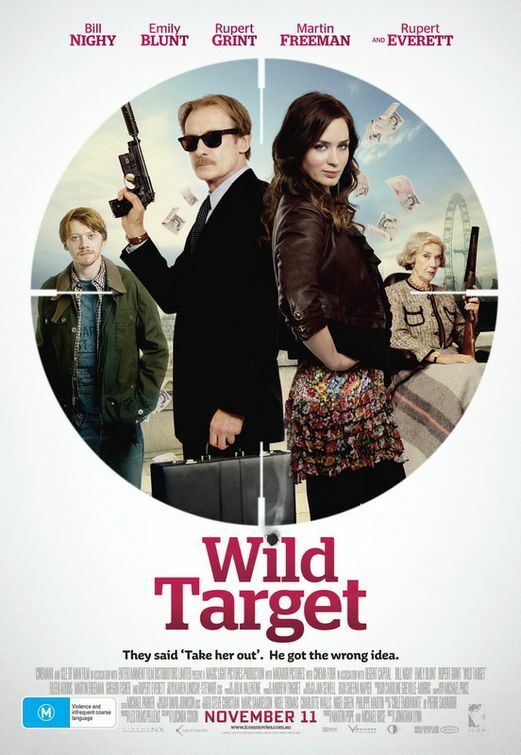 A good action comedy with maybe a bit too much comedy. That is what I think.